Anybody who reads this blog knows that I am intrigued by the history of technology and I look back periodically at past events when they seem to be relevant to something happening today. This past week I saw an article that mentioned that April was the fifteenth anniversary of the lawsuit between Metallica and Napster. In retrospect, that was a very important ruling that has had implications in a lot of what we allow or don’t allow on the web today. So let me look back at a few of the facts of that case and then discuss why this was so important. The first thing that surprised me about this is that this was only fifteen years ago. I remember the case vividly, but in my memory it was older than that and was back at the beginning of the Internet (and in many ways it does). The case was very straightforward. If you recall, Napster was the first major peer-to-peer file-sharing service. 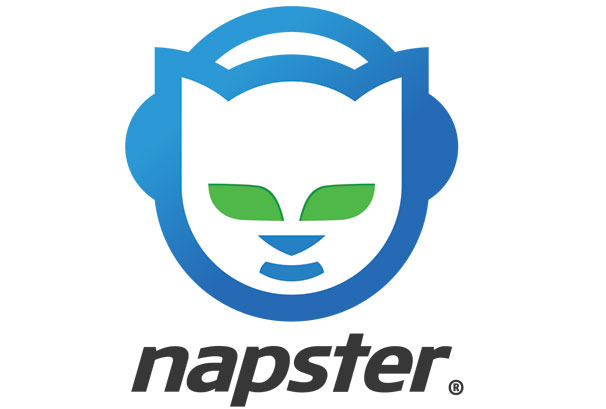 It was very simple in operations and it allowed you to see MP3 files on other Napster users’ computers as long as you agreed to make your own files available. Napster users were then free to download any file they found in the Napster system. You could do simple searches by either song name or artist to navigate the system. Of course, Napster put the whole music industry into a tizzy because people were using it to download millions of music files free every day. This was illegal for anybody who downloaded songs since they were violating copyrights and getting music without paying the musicians or the record companies. The industry railed loudly against Napster, but I’m not sure they knew entirely what to do about them. While users of Napster were breaking the law, it was not quite so clear that Napster was doing anything wrong, and the industry feared a court case that might give a legal go-ahead to Napster. The industry was looking at legislative fixes to the problem. But then along came Metallica. The band got incensed when their song ‘I Disappear’ from the Mission Impossible II soundtrack appeared on Napster before it was even officially released. The band decided to sue Napster to stop the practice and in the process became the spokespeople for the whole industry. The Recording Industry Association of America (RIAA) and Metallica offered settlement alternatives to Napster, such as scrubbing their system of all copyrighted material, but this was impossible at that time (and probably still is). In the process of trying to negotiate a settlement, Napster went bankrupt paying to defend itself. But this lawsuit sparked an ongoing and major debate about ownership rights of content versus the rights of Internet companies to make content available. While it became clear that blatant file-sharing like what Napster did is illegal, there are plenty of more nuanced fights today in the ongoing battle between artists and internet companies. The fight moved on from Napster to Apple’s battle against Digital Rights Management (DRM), the practice of tying music recordings to a music player. From there the fight migrated to Congress with attempts to pass the Stop Online Piracy Act (SOPA) and the Protect IP Act (PIPA) that were pushed by the music and movie industries to give them a leg up over internet companies. You still see this same fight today when artists like Taylor Swift are fighting with Spotify to be justly paid for their content. You see this same battle between authors and Amazon for not properly rewarding them for their works. There is also a never ending battle between video content providers and sites like YouTube that allow people to easily upload copyrighted material. It’s likely that the battle is going to be ongoing. Some visionaries foresee a day when micropayments are widely accepted and users can easily buy content directly from artists. But that is never going to be a perfect solution because people love the convenience of services like Spotify or Beats that put the content they like in an easy-to-use format. And as we saw with Napster, millions of people will grab copyrighted content for free if they are allowed to. ← Should You Have a Cord Cutter Package?